Specifically designed for post-surgery, drug-free pain relief! Our comfortable. 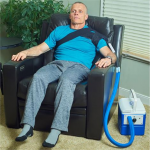 easy-to-use and whisper quiet cold therapy system is great for knees, shoulders, back, ankles, elbows, calves, limbs and more. Our AIS 3.0 includes an electronic digital timer and on/off switch. The digital timer allows you to set your treatment duration, with your doctor's recommendation, in increments of 30 minutes. This is a critical safety feature! 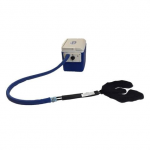 Active Ice® 3.0 Universal System is equipped with a whisper quiet, high-efficiency pump that provides steady, effective cooling therapy. Specifically designed for post-surgery, drug-free pain relief. Electronic Digital Timer can be set in 30 minute increments per your doctor's recommendation for maximum safety. Great for all areas of the body, including back, knee, shoulder, and limbs. Easy to use time and time again, simply add ice and water! Includes: 9 Quart Active Ice® 3.0 System, Universal U-Shaped Bladder & Shoulder Wrap, and 3" x 44" Elastic Belt. Optional adjustable temperature flow control available. Do not turn the system on until all connections are complete and the hose from the cooler to the wrap is free from bends or restrictions. Place the bladder over the targeted area with the smooth side toward the skin. Always use this bladder with a protective layer of fabric between the bladder and the skin. Use the elastic belt, tab or compression wrap to comfortably hold the bladder in place. Place the bladder on the target body part and hold in place with the elastic strap. 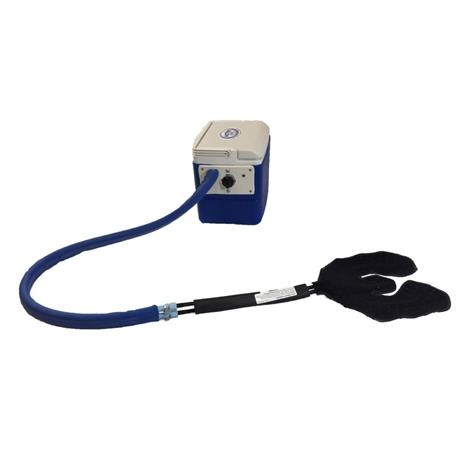 Connect the bladder tubes to the Active Ice Cold Therapy System tubes with the quick connect couplings. Depress the tab on the female coupling first, then press the system coupling into the bladder coupling until you hear a “click” sound. This click is the sound of the couplings connecting and locking into place. Be sure the hoses are not restricted or bent, as this will restrict water flow through the entire system. I am currently under the treatment of a physician who has prescribed this Polar Active Ice System. I agree to read and use this product in accordance with all instructions, warnings and cautions in the AIS Operation Manual and/or the instructions given to me by my treating physician. Cryotherapy should not be used by persons with Raynauds, Diabetes or other vasospastic disease, cold hypersensitivity, or compromised local circulation. Always consult with your healthcare provider. I acknowledge that I will assume all responsibility for the use/misuse of this cold therapy product. I will contact my physician immediately in the case of any untoward reactions caused by use of this unit. I will contact my physician immediately in the case of any negative reactions caused by use of this unit. 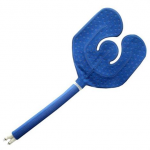 I will not use this unit if I am Diabetic or suffer from poor circulation or neuropathic (nerve) disorders.